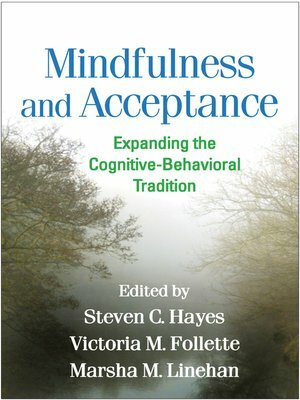 This volume examines the role of mindfulness principles and practices in a range of well-established cognitive and behavioral treatment approaches. Leading scientist-practitioners describe how their respective modalities incorporate such nontraditional themes as mindfulness, acceptance, values, spirituality, being in relationship, focusing on the present moment, and emotional deepening. Coverage includes acceptance and commitment therapy, dialectical behavior therapy, mindfulness-based cognitive therapy, integrative behavioral couple therapy, behavioral activation, and functional analytic psychotherapy. Contributors describe their clinical methods and goals, articulate their theoretical models, and examine similarities to and differences from other approaches.